According to the National Eye Institute (NEI), nearly five million Americans above 50 years of age suffer from dry eye. It’s a startling number, but a reminder of how common dry eye is, and how many people are affected. Luckily, treatment is available and most options are successful. If you feel you may be a victim of dry eye, a visit to your Annapolis, MD eye center may be in order. This list is not inclusive. If you think you may have dry eye, it’s vital to let your eye care provider know, because untreated chronic dry eye may cause permanent damage to your eye. Even if you are not suffering from dry eye, these symptoms may be caused by another eye disorder which may need treatment by a specialist. What can my Eye Specialist do for me? The main thing to remember is there are many treatments for dry eye, and they are very successful and accessible treatments. 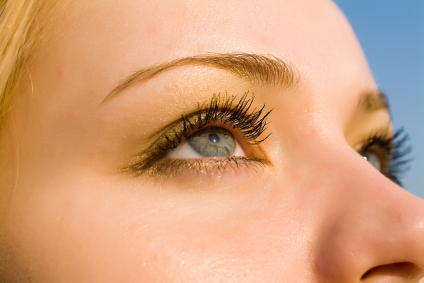 The Anne Arundel Eye Center (AAEC) always welcomes new patients. Led by board certified ophthalmologist Dr. Samuel Boles, AAEC offers complete ophthalmic exams as well as diagnostic pre and post-surgical eye care. AAEC is a regional leader in the diagnosis and treatment of glaucoma, cataracts, and dry eye, and our state-of-the-art treatment center is dedicated to making the best eye care accessible to everyone. If you have any questions about Dry Eye, please contact Dr. Boles, Dr. Kathryn Gurganus Turner, and the eye care specialists here at AAEC by calling 410-224-2010. AAEC is staffed by caring and knowledgeable professionals who will help guide you on your healing journey.